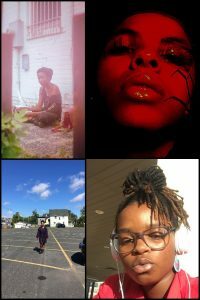 Tha’ll is an Afrocentric interdisciplinary gender-neutral performance ensemble creating around ideas of dimensional time travel and shapeshifting. Keri Deng Tap is a self-taught, first generation musician and aspiring herbal healer. Kenna-Camara Cottman is a dancer, an artist, a mother and a community member. Yonci Jameson is a musician and budding organizer, specializing in all things Black. Miles Jamison is a young artist hoping to uplift trans Black youth with their sounds.